Bulldog Movers has storage units in Atlanta that can adequately handle all of your storage needs, no matter how much – or how little – you need to have stored. When you choose Bulldog, you can count on us to completely protect your belongings. In fact, we can even custom-build wooden crates in which to store your possessions to ensure that they stay safe and secure. 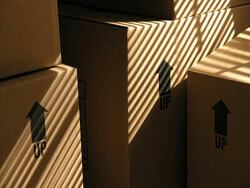 When the time comes to move, Bulldog can handle the process for you. We’ll load your belongings straight from your storage unit into one of our bright red moving trucks and transport them to wherever you need to go. Whether that’s right here in Atlanta, down I-75 in Macon, out of Georgia, or even out of the country, we can do it for you. If you’d like to find out more about our Atlanta, Georgia, storage units, or if you’re ready to reserve your space today, please call or e-mail us. We’ll be glad to assist you and provide more detailed information while answering any and all questions you may happen to have for us.